Relationships between people are frequently compromised as a result of religious viewpoints, but appropriate spiritual care requires bridges to understanding that will allow for trust and justice to become visible. The pattern for this book is shaped on the recognition that, while religious expressions differ markedly in their presentation, we can discern at the core of all religious expressions a supposition of sacred presence. It is therefore helpful for us all, in the daily events of our lives, that we approach people of other faiths with a degree of humility, recognizing that neither we, nor they, have a final answer to the question of faith. The book is divided into four parts, each part containing some chapters, in which elements of interfaith care are considered. Part one explores the complexities of interfaith engagement. Part two discusses ways for caring for each other in the search for meaning. Part three claims that spirituality is most difficult, if not impossible to define, but can be visible in a variety of experiences. The fourth part explores ways in which all that has gone before may be put into practice as spiritual care. 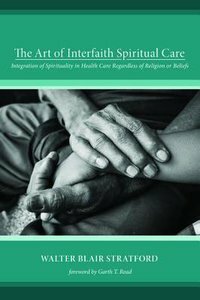 ""Thought-provoking and stimulating, this book provides a way forward for spiritual care practitioners to critically reflect on their approach to spiritual care within the growing plurality of faith traditions in health care settings. Full of practical wisdom, this book, in dealing with a complex subject, underscores the need for greater sensitivity to religion and spirituality in the context of helping relationships. It invites conversation and fosters further reflection on the subject of interfaith spiritual care."" --Linda McWilliam, Director, Mission & Social Justice, Anglicare Southern Queensland ""This is a book for practitioners or inquirers who want to be challenged that spiritual care is not easy to define, nor something which is to 'be done.' Walter Stratford shows that spiritual care, when practiced with care, is a relationship between two people that cannot leave either unmoved or unchanged. This book is not an easy read, but it is worthwhile reading."" --Andrew Goodhead, Methodist Minister; Author, A Crown and a Cross; the Rise, Development and Decline of the Methodist Class Meeting in Eighteenth-Century England ""Walter Stratford's book is a must-read for anyone involved in the physical, psychological, or spiritual care of others. It is replete, not only with the author's own rich insights gleaned from years of pastoral experience, but also with the wisdom of a wide array of other writers. Walter explores important concepts like the sacred, spirituality, and presence from a delightfully fresh point of view. I wholeheartedly recommend this book."" --Manuel J. Costa, Author, A Path to Life's Fullness: a New Perspective on the Teachings of Jesus Walter Blair Stratford has been a minister in the Uniting Church in Australia since its inception. Additional to parish ministry, thirteen years were spent in hospital chaplaincy and a number of other years as secretary to the Queensland state ecumenical council. Both prior and subsequent to retirement, he has participated in teaching and in supervising the church's pastoral care training program. His continuing involvement in interfaith activity has led to authorship of this book. About "The Art of Interfaith Spiritual Care"